Where to Stay and What to do in Madrid! Madrid, the lively Spanish capital. The first stop of our around the world trip. The biggest city in Spain, home of Spanish Royal Family and Government. Madrid is the capital and it is located in the middle of the Iberian Peninsula, so it is really the heart of Spain with nearly 3,5 million people living there. To help you explore this amazing city we give you some tips about where to stay and what to do in Madrid. Surrounded by mountains, Madrid has a nice weather with cold and rainy winter, but also a hot and dry summer. Of course we arrived there by the beginning of spring, so we avoided the rain and enjoyed the city with a beautiful sunshine. We landed in Madrid on 25th of April, it was springtime and the temperature was supposed to be mild, with sunshine and no jackets on. But the beautiful capital was waiting for us with a chilly wind and thermometer showing 8ºC! Our idea an European summer turned out into a freezing nightmare. Thanks God we had some cardigans, jeans and socks! – When you are travelling to Europe during spring time, always bring a jacket! Apart from the cold weather, Madrid enchanted us. It was our first time there and we enjoyed a lot. So many things to do, to see and eat that our 5 days ran really fast. We’ve spent so much time during the day walking around the city and visiting the attractions that, by night-time we were wrecked. Even with a great nightlife, we did enjoy Madrid more on day time. If you are planning to visit Madrid and other cities in Spain and Europe, check out the 14 days in Europe Itinerary for more inspiration. 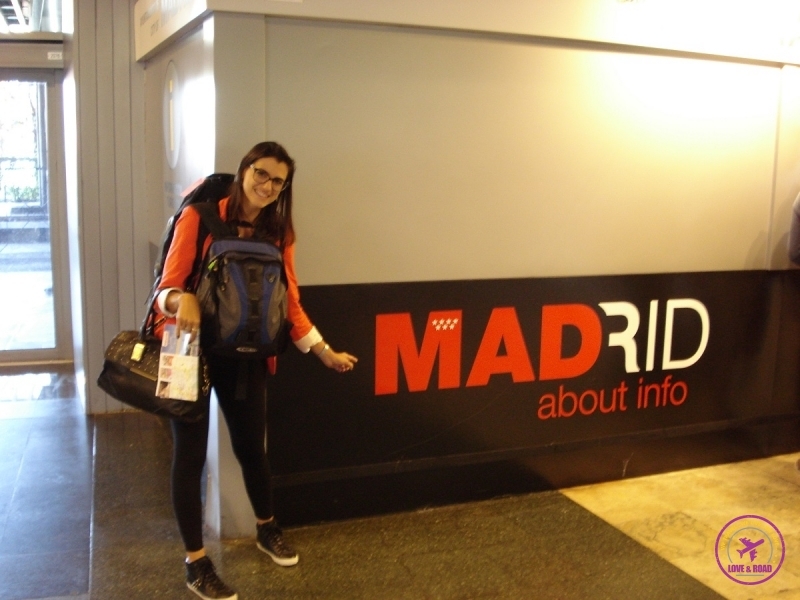 What to do in Madrid and how many days you need to visit the city? I would say that 4 days are enough, but if you want to do it slowly I’d recommend at least a week. Actually, it all depends on how much money you can or want to spend. Madrid is not cheap comparing to other Spanish cities, so be aware that , the longest you stay, the more you will cash out. Although Madrid is an expensive city in Spain, it is not the most expensive city if you compare with other European capitals. The 2014 Backpacker Index ranked the Spanish capital as the 27th cheapest city to visit, so you still can enjoy it a lot without going bankrupt. 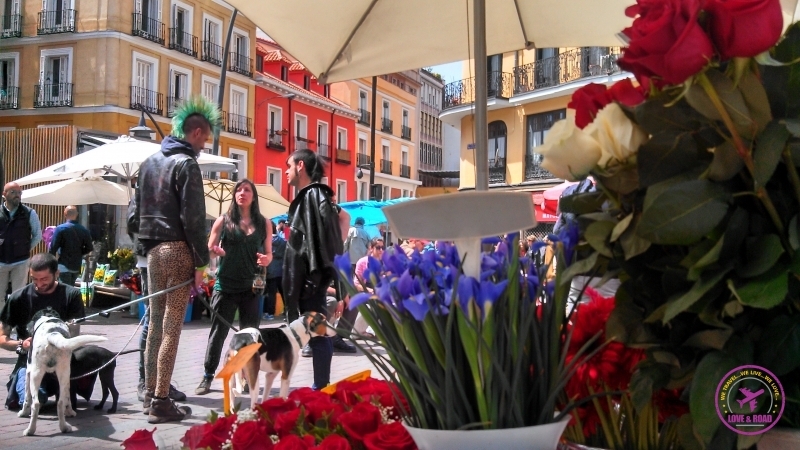 Specially with all the tips you will get from us: what to do in Madrid on a budget or free!!! Where to stay in Madrid! To make the most of Madrid you have to think wisely about where you are going to stay. It doesn’t matter if your budget is tidy or luxurious, you have to be where everything happens. We are travelling with a low-budget and accommodation is our major concern. Less money we spend on beds, more money to spend on fun! Did you get the math? Most of the time we try to rent a room in someone’s house/apartment, with access to the kitchen, bathroom and laundry. That way we can save money eating in and washing our clothes. Of course hotels are super comfy, but they are also more expensive! 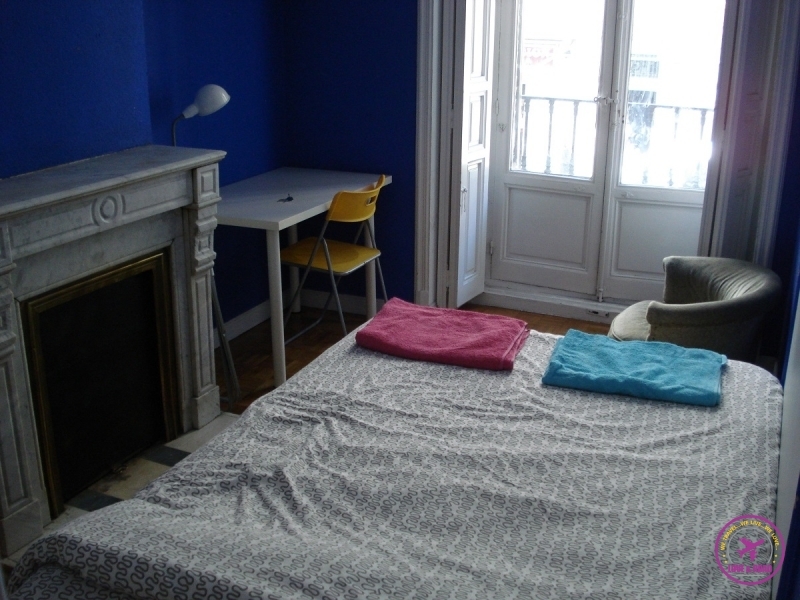 In Madrid we stayed in a student house, we got a double bed private room with shared bathroom and kitchen. We paid for it just € 17,20 ($ 23,50) per day/ per room, a really good deal if you compare with hotel prices around town. And the best was our neighbourhood: the Royal Palace was just one block from our building. Cheap rent with a King view! To find our place we used airbnb website. It is a very easy platform to search properties all around the world and you can filter by price and type of room. There you can find from full houses and apartments till shared rooms, it all depends on what you are up to. Saving money and having a good room is subject for another entire post, so for the moment let’s keep focus on where to stay Madrid. We were in the centre of Madrid, in front of the Opera Theatre, 5 minutes to the lively Puerta del Sol square and about 10 minutes by metro to all the major attractions. I do recommend that area, super safe to walk around during the day and night. Full of restaurants, cafes and markets, you never get wrong staying there. There are others neighbourhoods that are nice too like Malasaña (brilliant for nightlife) and Chueca (known as a gay area). There you can find lots of hostels that are really cheap for dormitories, some boutique hotels and great places for dinner. 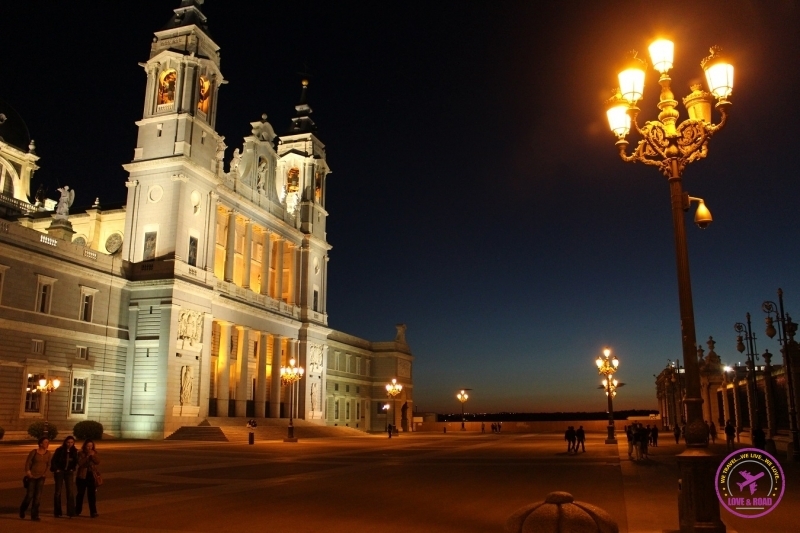 Now that you already know where to stay, lets discover what to do in Madrid! What to do in Madrid? Culture, parks & fairs. Madrid has it all! There are many things do in Madrid, from museums to parks, from flea markets to concerts, the city has something special to offer for every tourist taste. Nevertheless, we made a list of great things you have to do, unmissable places you have to see and how do get inside them for free. The palace was built in 1738 and took seventeen years to be finished. Home to the kings of Spain, from Carlos III to Alfonso XIII, the palace is now open for public visits. It is worth to pay 10€ to get access to the rooms, to the amazing staircases, enjoy the beautiful architecture and art collection. Nowadays it is not the official royal residence anymore , but it is still used to hold official ceremonies, like the new king nomination on June of this year. Outside the palace, on the side of the courtyard you can find hiding in a little door a nice museum about the Spanish Armory. You get in with the same ticket you bought for the palace. Also have a walk around the palace garden. The Sabatini Garden is open everyday from 9am to 9pm and it is free. To get there you just have to leave the palace and walk towards to your left side, opposite to the Cathedral. Take a rest in the park for a few minutes our list of what to do in Madrid is big and you will get tired. The construction of the Cathedral began in 1879 but it has been finished just in 1993 when Pope John Paul II consecrated it. Because of such long period of construction the project has changed a lot and inside you can see neo-gothic, neo-romanesque and pop art styles. Beautiful view of the Cathedral is on sunset time and beginning of the evening. The square and the church get all illuminated and it is magical! This place is so beautiful that we manage to visit twice, during the morning and sunset. Tickets: 9€ for adults, 6€ or children from 6 to 12 years. The price is for entrance and a guide tour around the arena. We don’t want to offend anyone, but we are against Bullfighting. We know that it is a tradition in Spain, I do respect it, but I don’t want to support it by paying for a tour inside the building. So we just saw the building from outside and the architecture is really nice. For those who like “tourada”, the season starts on March and goes till December, but the busiest days are in may during the San Isidoro feast. From 11th till the end of may there are daily bullfighting every evening and the arena can get packed of 23.800 people, the seats on the shade side are the most expensive ones. 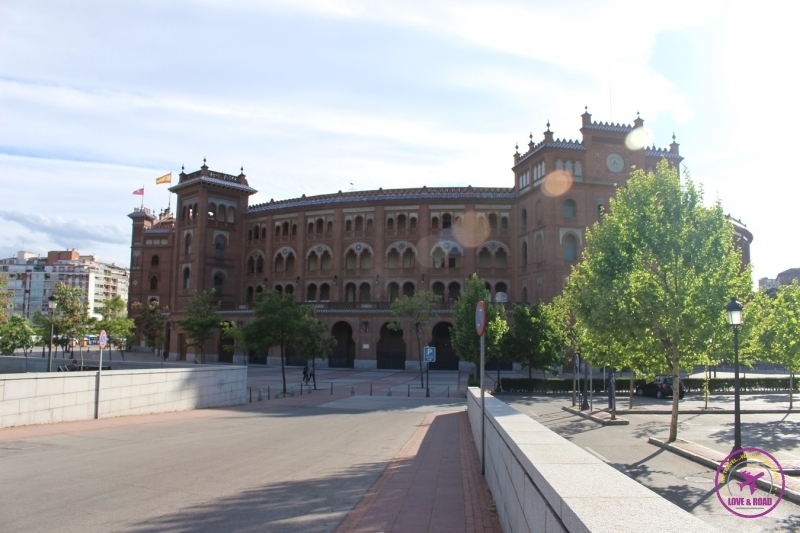 Las Ventas is also used for concerts, sports games and political events. Opening hours: Monday to Friday 10am – 2pm and 6pm – 8pm. Saturdays and Sundays 10m – 2pm. Closed on Monday. Incredible place to watch the sunset, grab a wine or a beer, sit for an hour just to relax and enjoy nature (be careful because drinking on public parks are not allowed in Madrid, but everyone does). The temple is beautiful during the day, but with the night lights it gets stunning. 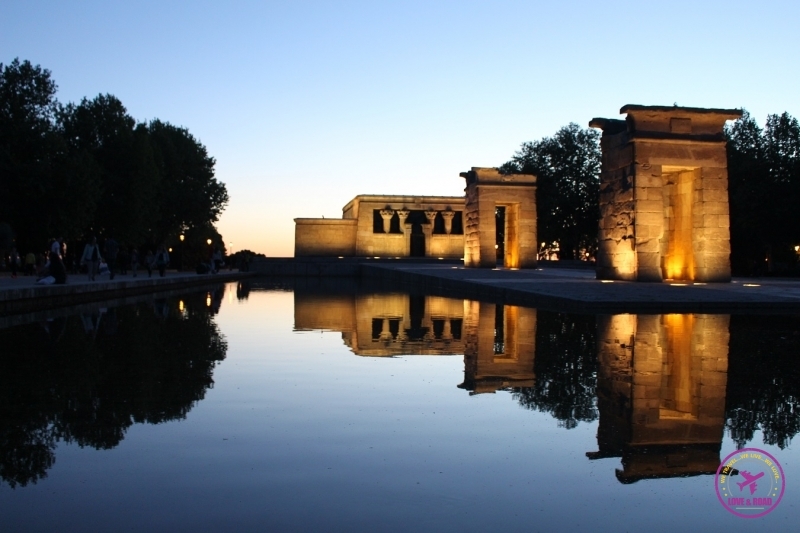 It is an original ancient Egyptian temple built in 2nd century BC that was moved to Spain in 1968. The intention was to keep it saved and preserved, Like the Debod Temple, other monuments were sent by Unesco to different countries. All of them were located on the shores of Nile river and were threatened by construction of the Aswan High Dam. From there you can have a view of Park Casa de Campo, another nice spot in Madrid. We will be talking about the parks and museums on our next post, the list of what to do in Madrid is so big that our guide is going to be divided in 3 parts. It is a charming square in the heart of old Madrid, in the past it was an important location for markets and local commerce. Surrounded by residential buildings the square has 9 entrances and some restaurants and cafes where you can sit, drink a “caña” (traditional small glass of beer) and watch people getting around. 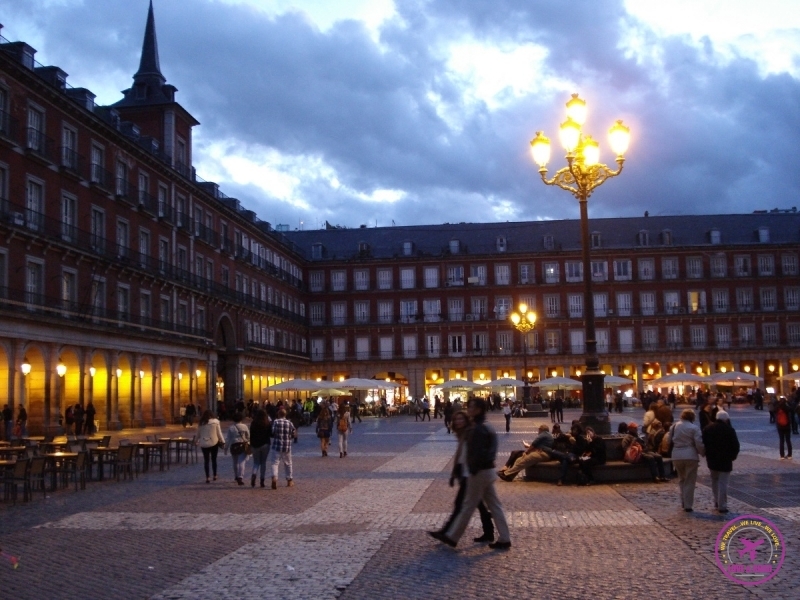 Sip a beer at Plaza Mayor is one on the must things to do in Madrid. Enjoy it! The Palace is not mentioned in most of the city guides and maps, we found it by accident when we were leaving the Naval Museum. Even not receiving much attention from the tourist office the palace is superb, beautiful from outside and inside. 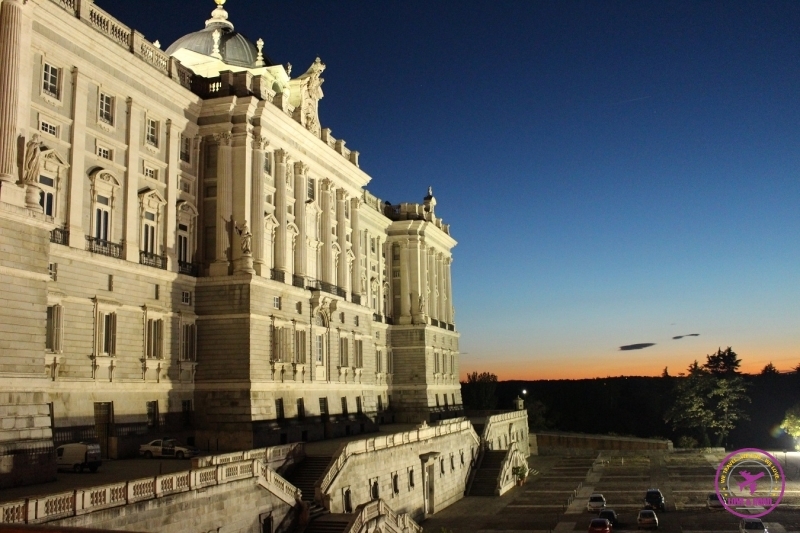 A visit to the palace is our personal recommendation on what to do in Madrid. The construction started in 1907 and it was opened for public on 1919, and it was built to be the headquarters of the Spanish Postal Service. In 2007 it became the City Hall. As we found it by mistake we arrived there late to go to the tower, and it was our last day in Madrid, so we didn’t have the opportunity to enjoy the beautiful view they have. It said that you can see Madrid in 360º. In the building also there are nice café and fancy restaurant. Wake up early just have a small breakfast and go to El Rastro Flea Market. It will be crowded so dress something comfortable, I recommend flat shoes and no bags (or a small one, there are pickpockets around the market, so pay attention). There isn’t a right way to explore the market, it`s packed with small stalls, tiny streets and alleys. You have to lose yourself and then you will find lovely and nice stuff. From clothes, leather shoes, bags, organic products, flowers and antiques, some secrets are hiding in every corner. From second-hand products to souvenir, El Rastro is a mix of things and people. In the middle of your way you will find some artists spreading smiles and great music. When you get tired take a seat in some local coffee shop, they have great brunch menus, eat some tapas, drink a coffee or a glass of wine. You are travelling, so enjoy it! 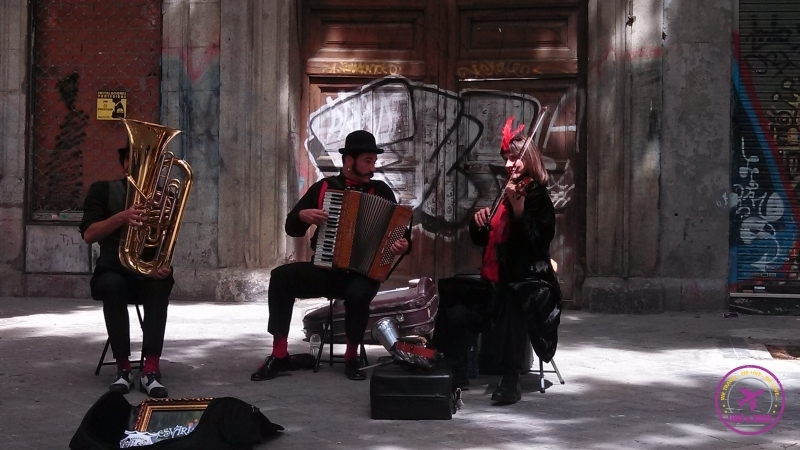 Madrid has so many things to do and see that we couldn’t write juts one blog post. So we decided to split this guide in 3 parts. Next post you will find all the info about Art, Museums, parks and our favourites places in Madrid! Is Madrid on your travel plans? Did you know about all these attractions and what to do in Madrid? Tenho q voltar a Madri, dos lugares citados fui apenas em dois. Uma coisa bem legal é que o El Rastro existe desde 1500 e bolinha, acredito q seja a feira mais antiga ainda existente. Vamos postar mais dicas da cidade na quinta e na segunda-feira que vem, o roteiro para sua próxima viagem a Madrid já vai estar pronto! Amei cada lugar, fiquei encantada com tudo isso……aproveitam o máximo, vocês merecem tudo isso.Bjs!! Fico feliz demais por saber que está acompanhando a gente!!! Thank you very much for talk about Madrid, maybe one of the most unknown big cities of Europe but with great places to visit as you mention, with a wonderful weather, the best food in Spain and very good places to stay. It´s our pleasure to share info and photos of this stunning city! Thanks for stopping by Teresa! 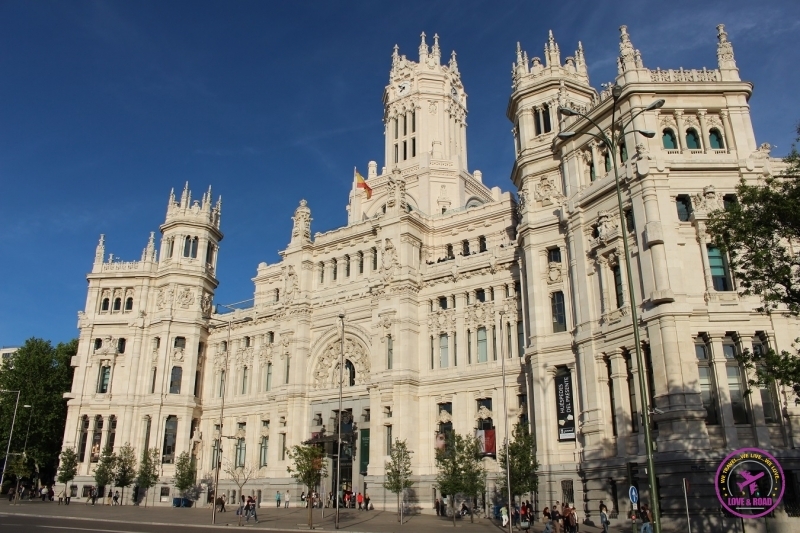 If you are thinking to visit Madrid I recommend you check this post http://www.blog.septima-ars.com/?s=madrid&submit=Search You will find interesting places of Madrid to visit, some of them almost unknown and places where were filmed great movies. I hope I help you to enjoy Madrid. Thanks for your extra tips!! It´s always good to learn more and find new places to visit!